Bryan has worked as a certified athletic trainer in a clinical setting for the past 2 years. He is trained to identify, prevent, and treat a variety of athletic injuries, chronic conditions, and acute pathologies. 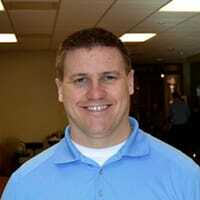 Bryan’s skill set allows him to support our physical therapists to have an extended approach to our patient care. Bryan has experience in conducting and adapting rehabilitation protocols for all ages but is exceptional with return to play for young athletes. Bryan enjoys spending time outdoors and experiencing Colorado. He likes to ski, hike, and camping. Bryan also enjoys time with family. He spends some of his off time devoted to supporting local military veteran organizations. Bryan is also a proud member of the United States Army reserve.